Before Sahrawi military authorities, such as the Minister of Defense and the head of the 2nd Military Region, and representatives of the United Nations Mine Action Service (UNMAS), and the MINURSO, UN Mission for the referendum in Western Sahara , and from the Geneva Appeal, 2,300 anti-personnel mines VS-50, 100 SB-33, 100 M-966 and 8 anti-tank mines BPRB-M3 were destroyed. With this action, since 2006 the POLISARIO has destroyed 15,508 mines and plans to disable another 4985 in 2018. The head of the Saharawi reserve troops, Mohamed Lamín Buhali, said that the will of the government of the Sahrawi Arab Democratic Republic (SADR) is to continue applying the agreements on mine destruction, with which Morocco has never wanted to be involved. Mohamed Lamín, a former defense minister, said that the occupied part of Western Sahara continues to suffer from the mines planted along the wall, which are transported by the waters to riverbeds and become deadly traps for the Saharawi population. 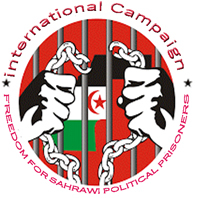 it moves freely through the liberated part of Western Sahara. Pascal Bongar, legal director of the Geneva Appeal, said they were facing a "clear demonstration of the Frente's POLISARIO willingness to collaborate in the destruction and clearing of the mines", which sow terror, especially in the liberated part of Western Sahara.